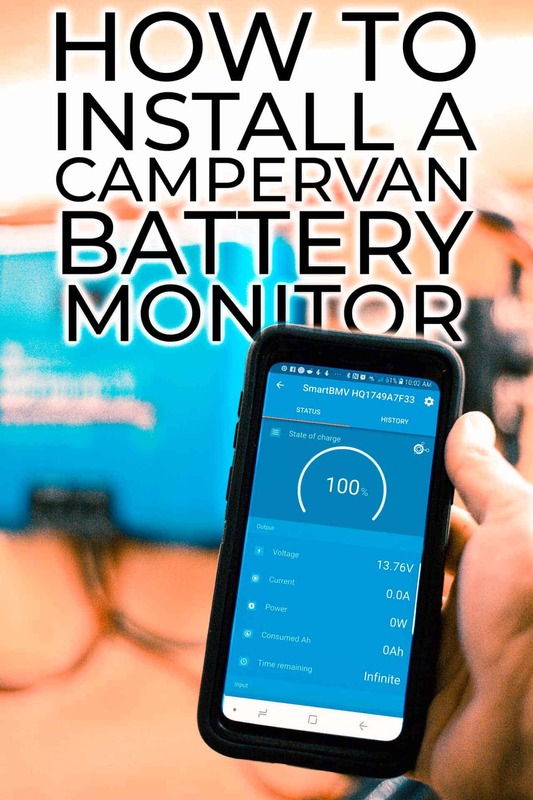 A battery monitor for your house battery bank in your DIY camper van isn't a necessity, but then again, neither is a fuel gauge for driving. They both serve the same purpose. 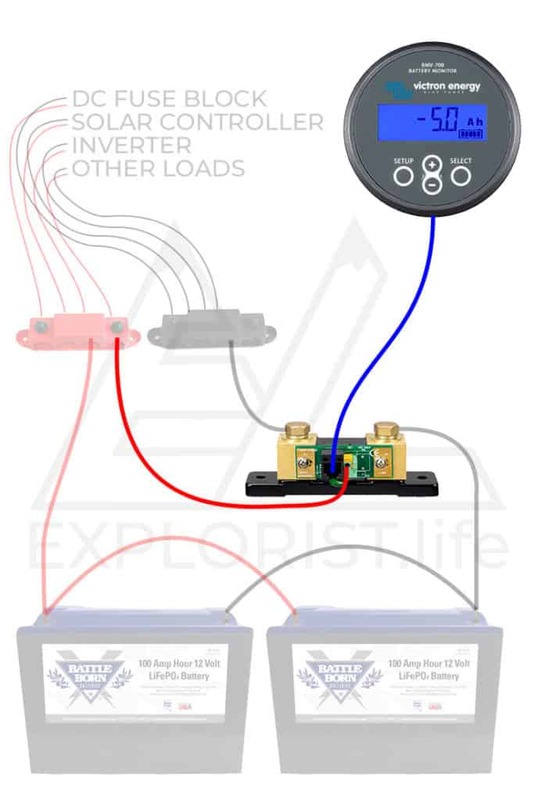 What does a Camper Van Battery Monitor Do? 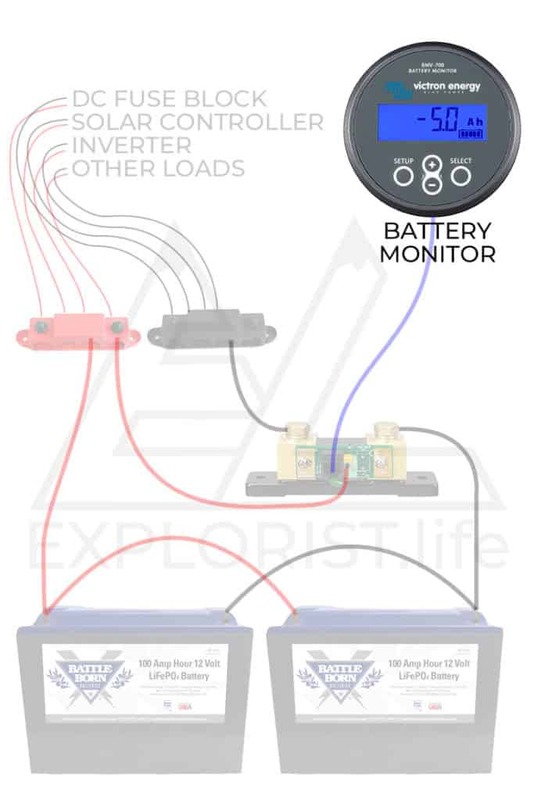 How does a Battery Monitor work? 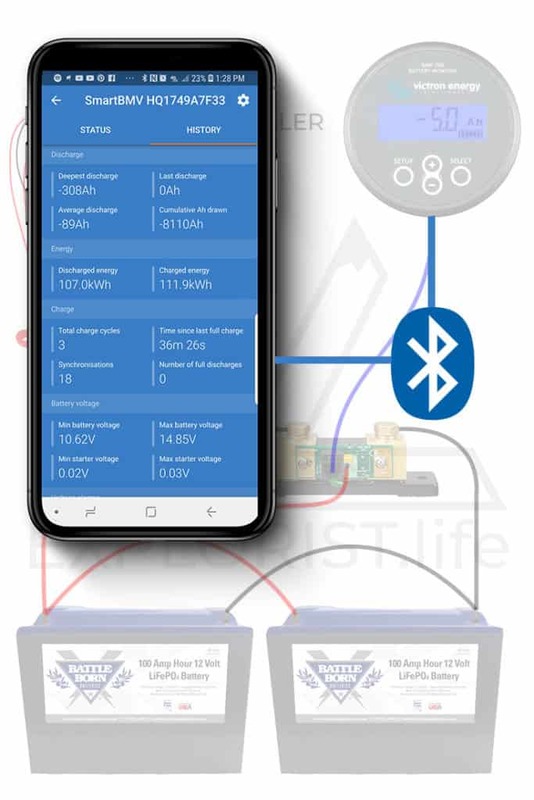 A Battery monitor sits in-line between your batteries and ALL loads of your electrical system. 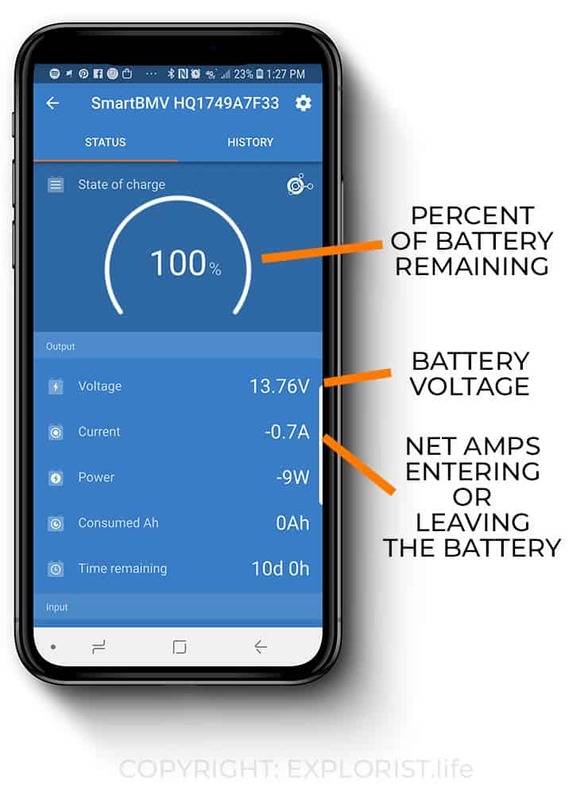 The battery monitor reads how many amps are going into or leaving your batteries at any given time. 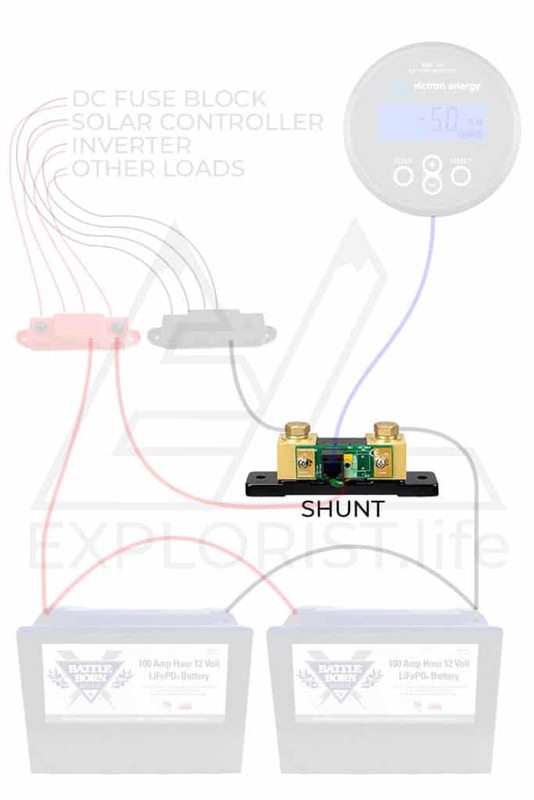 The shunt is the actual measuring device that you will wire in-line your negative cable that goes from your negative battery terminals to your negative busbar. There is usually a little data port to plug in the cable that runs to the actual monitor itself as well as a small power wire that supplies power to the monitor. 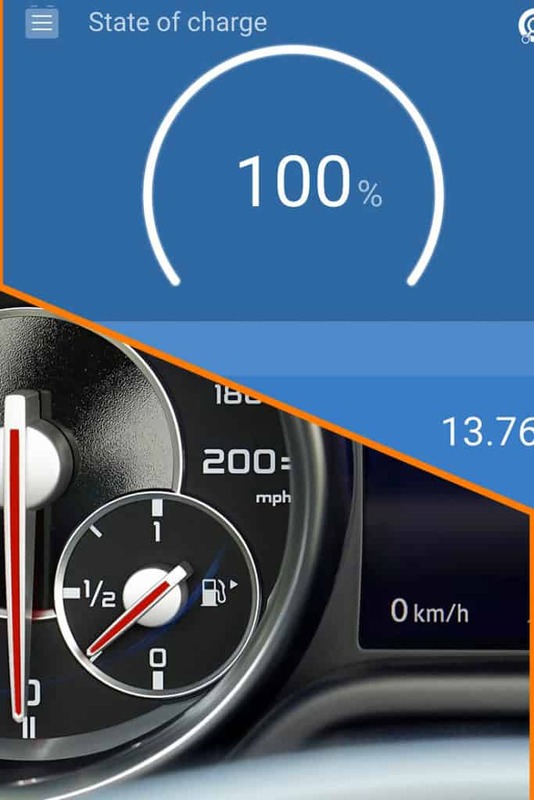 The Battery Monitor is the actual little display face device that you plug into the shunt. If the shunt is the computer, the monitor is, well… the monitor. The Victron BMV-712, in particular, actually has bluetooth capabilities that allow you to easily access more information from your phone than is easily available from your actual display face. 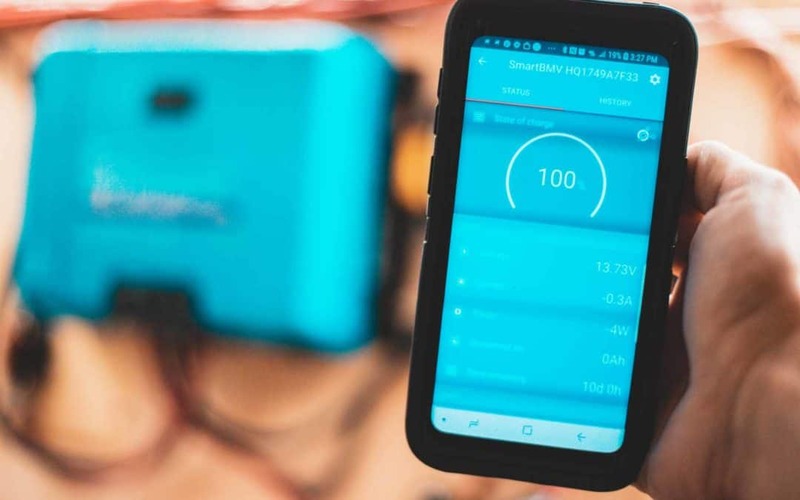 The user experience of the Victron Connect app is a highly welcome addition to a high-end camper van electrical system as it has a easy to use user experience as well as historical usage figures. Your timing on writing this extremely helpful and detailed series is awesome! Not only am I in the midst of collecting my components for my solar install on my “TakeMeHome ” tiny house, but I am scheduled to be a speaker at the upcoming St. Pete Tiny Home Show in Florida on March 23, 2019. During my presentation on DIY Tiny House builds, I print up a hand-out to distribute to my audience. Your DIY-Campervan-Solar page is going at the top of my helpful tips flyer! Thanks so much for your awesome posts! My audience will thank you too!